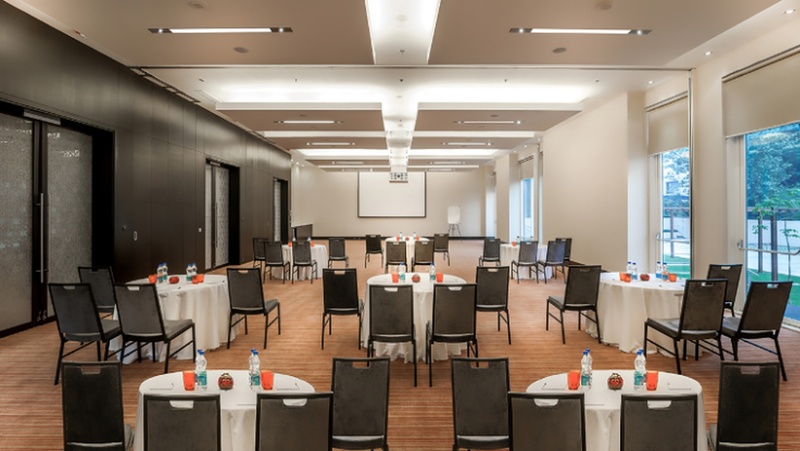 Hyatt Place, Udhyog Vihar, Delhi is an ideal venue for hosting an amazing wedding and reception ceremony. 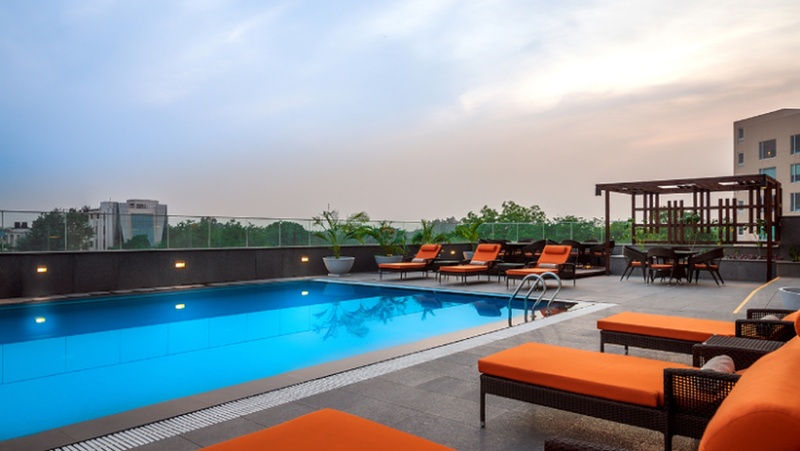 It is located at a close distance from City Affairs Garden and Old Delhi Gurgaon Road which makes it easily accessible for all. Treat your guests with a royal feast of multi-cuisine delicacies to choose from in both vegetarian and non-vegetarian food. You need not worry about your guests who come a long way to attend your functions as the venue offers them a comfortable stay. 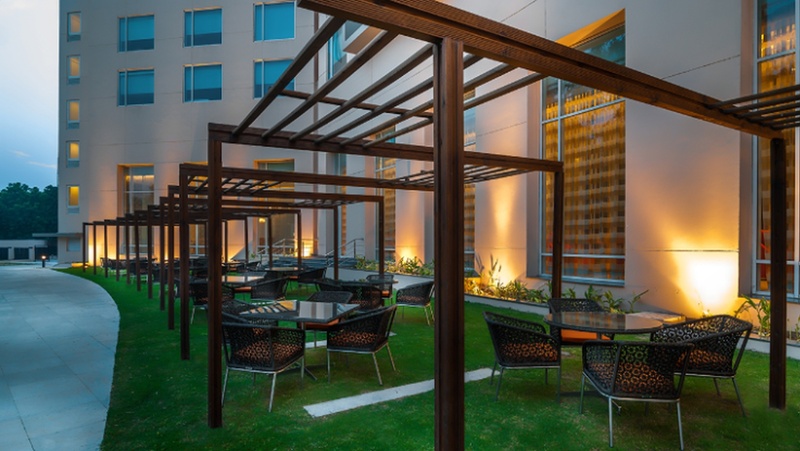 Hyatt Place Banquet Hall also has a lawn which can be combined together for hosting medium-sized wedding function involving family and close friends. The management at Hyatt Place, Udhyog Vihar, Delhi makes sure your wedding is a big fat affair and is remembered for a long time. 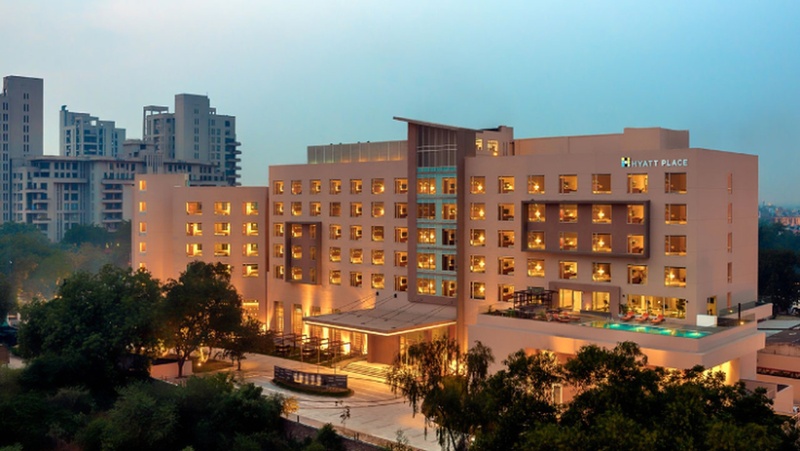 The Hyatt Place located in Udyog Vihar, Delhi has Wedding Hotels, Banquet Halls and Wedding Lawns. Hall can accommodate upto 90 guests in seating and 140 guests in floating. Hall + Lawn can accommodate upto 275 guests in seating and 450 guests in floating. Lawn can accommodate upto 200 guests in seating and 300 guests in floating. Vegetarian and Non Vegetarian food is served at this venue. Features of this wedding venues are : Food provided by the venue , Non-Veg allowed at the venue , Alcohol allowed at the venue , Halls are air Conditioned , Ample parking , Baarat allowed , Hawan allowed , Overnight wedding allowed , Decor provided by the venue , Packages starts at Rs 1500 per plate for vegetarian menu and at Rs 2000 for non veg menu. Decoration starts at Rs 20000.